The Infinix hot S3 is the latest addition to the Infinix S series which is the company's entry level series of smartphones. It is also the first Infinix smartphone to be powered by a Qualcomm Snapdragon processor as opposed the Mediatek chipset the company is used to. 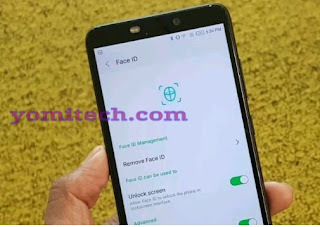 Infinix recently released a new OTA update for the hot S3 which enables the Face unlock feature. The update which is 330MB is already available for hot S3 users in India but will be available as a pre-market update for countries where the device is yet to be released such as Nigeria, Kenya and Ghana. In this post, I will be showing you guys a quick guide on how to setup the Face ID unlock feature on the Infinix hot S3. >> Go to your phone's settings. >> Click on "Security and Locations". >> Scroll down and click on the "Face ID" option. >> To set it up, you will be required to first have a lock screen passcode lock. >> If you already have that, then head to the Face ID settings. >>You will be asked to set-up a passcode which can be in form of pin, pattern and password. >> Once you are done with that, you will be taken to the Face ID section. >> Tap on Add Face ID and scan your face in a little dial you see on your smartphone’s screen. >> You will see the spikes around your picture dial-up, and when they go full circle, you will be prompted with a “Face ID successfully enrolled” message. >> That means the Face ID setup is completed and successful. >> First, lock your smartphone. >> Press the power button and hold the phone up to your face. >> That should unlock your phone. >> In an instance where you are trying to unlock your phone in a dark environment. >> The smartphone will prompt saying, “Click to turn on the flashlight to unlock the device with your face”, and you will see a little bulb icon on your locked screen. >> Tap on it and the phone's flash will be turned on. >> After that, just hold your phone up to your face and it's should unlock.